A recent study indicated that our youth may be struggling with a lack of empathy. As parents, it’s our job to ensure that we help our children learn this valuable life skill. Caring for a pet is a great way to help your child understand and learn about empathy. Of course getting a pet is a big decision. Animals are living creatures, that need love and care, every single day. It’s because of this, that pets help inspire empathy. Empathy is the ability to walk in someone else’s shoes and to imagine what they are feeling, even without having had the same experiences. For example, you know your dog loves it when you rub his belly. You know this because of the way he behaves, he wags his tail, his physical mannerisms. You don’t have to have had your belly rubbed, to know that your dog is experiencing joy. This is a form of empathy. 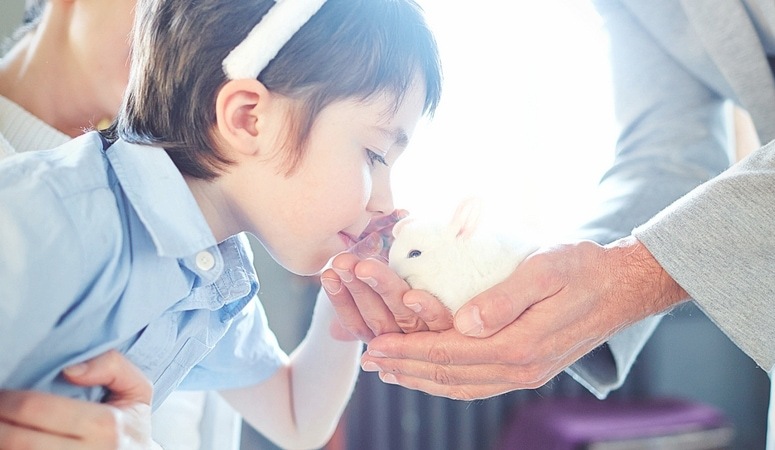 Here are 5 ways that a family pet can help teach your child empathy. A big component of being able to empathize with someone is self-esteem. People with a high self-worth find it easier to empathize with others. 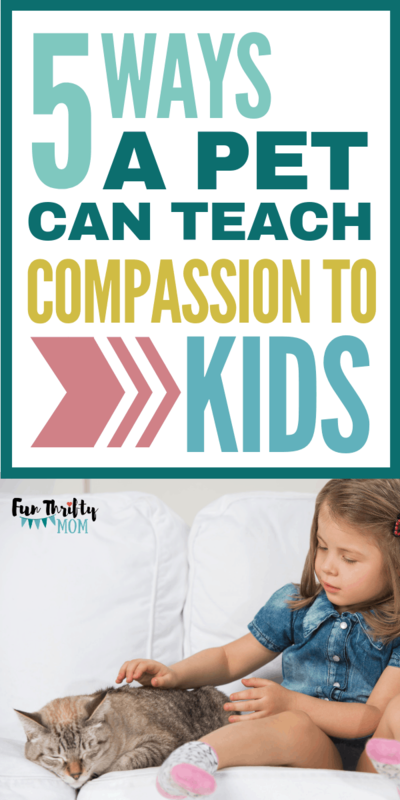 Caring for a pet, feeding it, potty training, cleaning up after it and taking care of their health needs will make the child feel good about themselves and their ability to care for another. 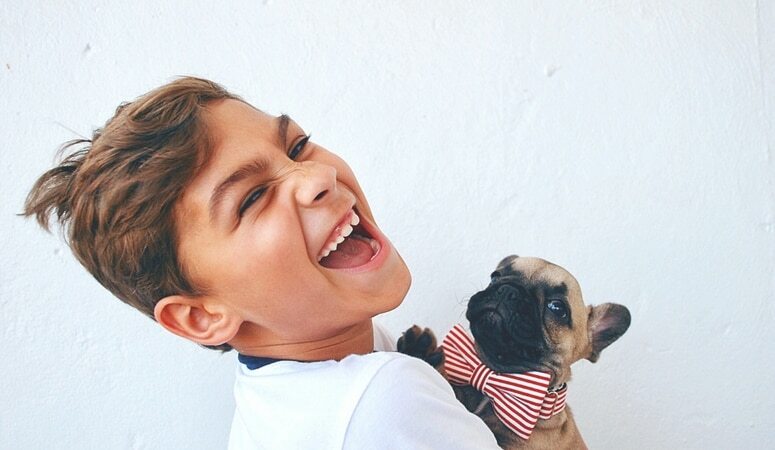 By giving your child age-appropriate responsibilities to care for your pets can be a great way to make them feel responsible and build their self-esteem at the same time. Look for opportunities to discuss why caring for animals is important. 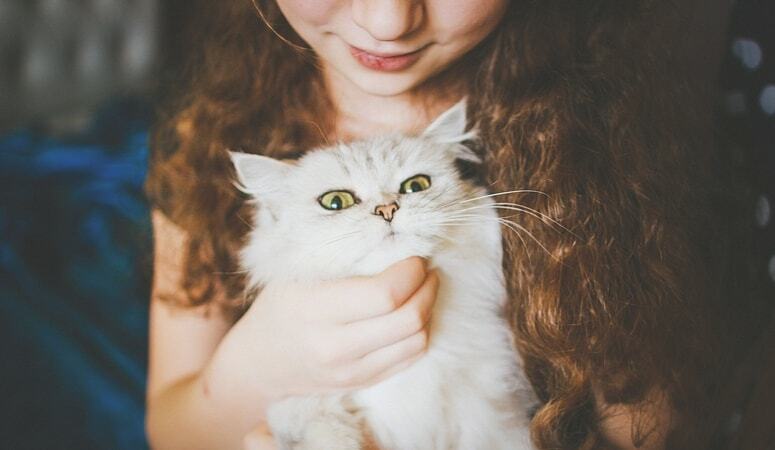 Be sure to explain and verbalize all the positive feelings their pet has when they show it affection, and care for its needs. In the example above, you can see how the word feel, is used often. This is a big part of empathy. Discussing how actions and words provoke feelings. Small animals don’t live as long as humans. It’s likely that at some point, your family will have to deal with the death and loss of a pet. Your instinct may be to protect your child from the pain and to hide the sad truth. However, the experience of loss will help teach them about the value of life. This experience can help teach them more about empathy for others in ways you may not have thought possible. Death is a fact of life that everyone has to deal with at some point. 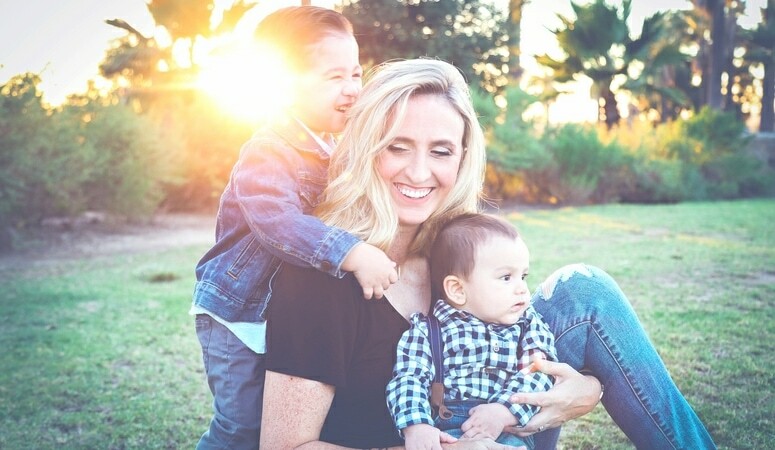 It’s better for your child to learn about grief and coping with loss in positive ways than to be completely unprepared to handle this kind of situation as an adult and without your guidance. Make sure to take the time to discuss their feelings when this happens. They need to know that it’s ok to be sad, and that it may take some time for them to feel ok again. 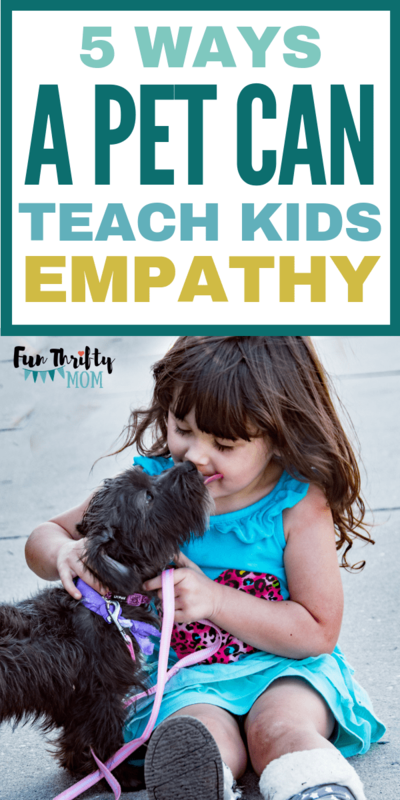 Each empathy lesson must involve discussing and defining feelings so that as they grow and go out into the world they go with knowledge of how their actions affect others, and that all feelings are a normal part of life and nothing to be shameful about. They do know, however, that they are hungry and have the instinct to get food by suckling anything that gets close to their mouth. They also know how to cry because that’s what gets the food to them. By answering these calls, and not ignoring them you teach your child that you will care for their needs no matter what. When you let your child care for a living creature, you allow them to start putting the concept of helping others into reality. By ensuring your child feeds the family dog every night, even when they really want to go outside and play, you teach them to put something ahead of their own feelings. This is something that people need to learn to do in a healthy way. It helps them differentiate between needs and wants. A dog needs to be fed, a boy wants to play. It’s important for children to understand that everyone has needs and that needs are natural and normal. When they experience feeding a pet, cuddling a pet that is not feeling well or having to give up something they want to ensure that their pet gets what it needs it gives them perspective. Of course, this will be easier when you help them reflect on it. “I’m sorry we can’t afford to go to Disneyland this year, but it was really important to that snoopy to get that surgery, so he could feel better and live a long, happy life. This type of dialogue may seem awkward or may feel forced at first, but these kinds of statements help verbalize the situation and its importance. It also focuses on how everyone has a direct influence on others feelings. 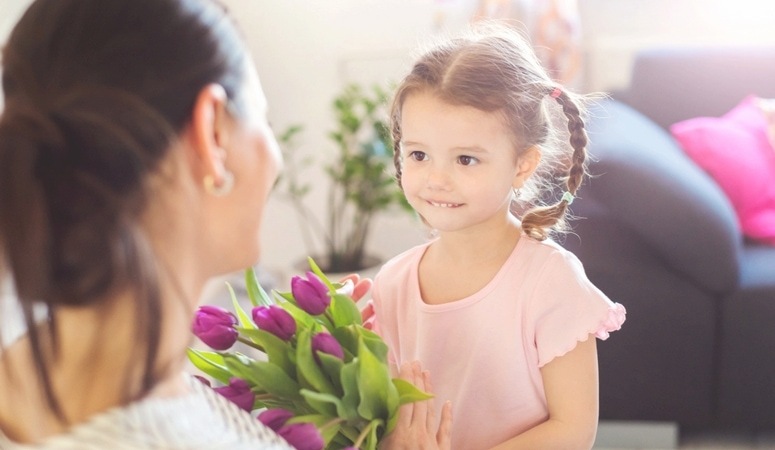 By putting it into words, you help them connect the actions and repercussions, and understand why one action is right over the other. Children often don’t understand that they have power. They have no idea that hugs feel good to others just as it does for them. They don’t know that others feel sad sometimes, just as they do. A pet can help them understand their power to make someone else feel loved and cared for just like them. Giving children charge of pets depending on their age can make all the difference. Even a two-year-old can be taught to “be gentle with the puppy” or “give him a treat” and why it’s important. 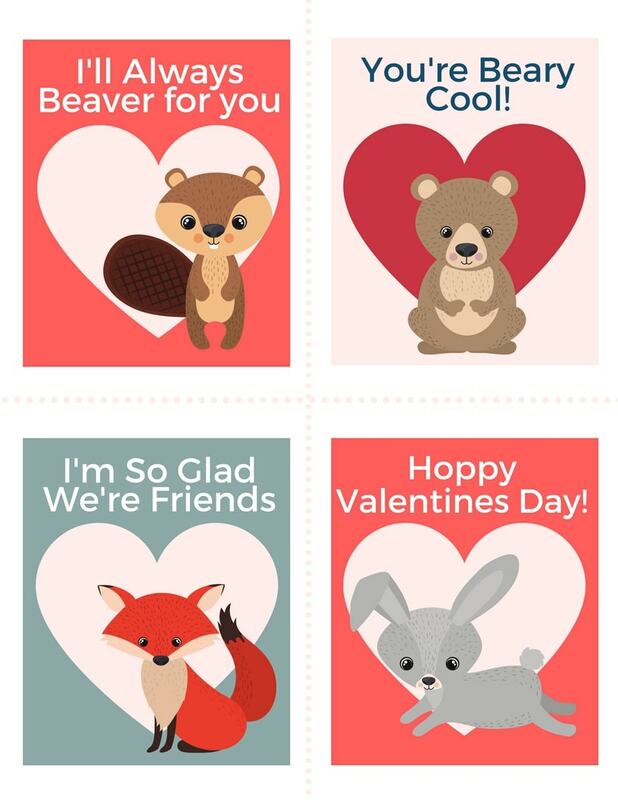 Learning these lessons will cross over into human interaction too. Learning not to hit the dog because it hurts, will also teach a child not to hit other kids because that hurts too. If you decide to get a pet for your child be sure to visit the pound and avoid breeders and puppy mills. Also, try fostering first to find out if a pet will work for your family since having a pet is often a 12 to 20-year commitment.